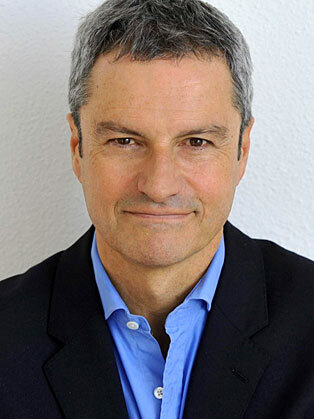 Gavin Esler is the author of five novels (Loyalties, Deep Blue, The Blood Brother, A Scandalous Man and Power Play) His first non-fiction book, The United States of Anger predicted the political upheavals and discontent in the United States which produced the Trump presidency. His most recent non-fiction publication, Lessons from the Top, was originally inspired by conversations and interviews he conducted with world leaders including Bill Clinton, Angela Merkel, King Abdullah II of Jordan, Tony Blair, Margaret Thatcher and other successful communicators from business, the military and popular culture, including Dolly Parton and Angelina Jolie. The book examines how successful leaders use stories to educate, persuade and bring about change, and how to build trust with potential followers or customers in an increasingly uncertain world. Gavin is known for his presenting work at the BBC. He has been the main presenter on Dateline London and The Film Review on the BBC News Channel and BBC World and a regular presenter on numerous other programmes, including Hardtalk . He was the BBC’s Chief North America Correspondent for eight years, based in Washington, and has reported all over the world, including China, Peru, Argentina, Cuba, Brazil, Russia, Jordan, Iran, Saudi Arabia and from the Aleutian Islands, as well as all across Europe. On returning to the UK from eight years as the BBC’s North America editor, he joined the presenting team on the BBC’s flagship news and current affairs programme Newsnight. Currently he is also a columnist for The National, an English language newspaper based in the UAE with a worldwide circulation. He is Chancellor of the University of Kent and holds an honorary Doctorate in Civil Law from Kent and a D.Litt. from Glasgow Caledonian University. In 2017 he took on the role of moderator for the ‘How To Do Good’ speaker tour, to encourage better practice in charities and NGOs. The tour visited Oslo, Stockholm, The Hague, Brussels, Paris, London and New York.